Yay! My snail mail has finally arrived! Let’s see, a few new ones, (The Double Life of Veronique, Fanny & Alexander, Kagemusha, and 3 Films by Louis Malle) and some old favorites. It’s a bit much I know, but I think it’s about time I finally owned a legit version of these movies. 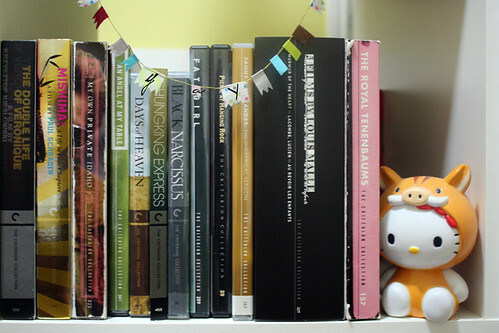 The Royal Tenenbaums were getting quite lonely on that shelf by itself. 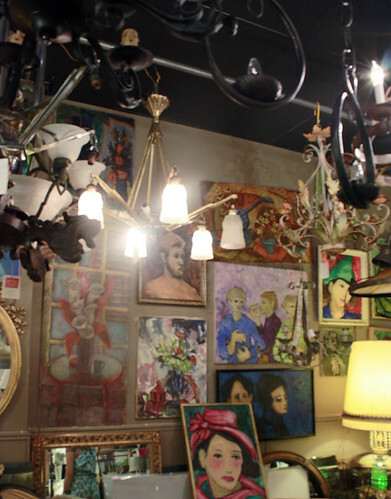 I’ve been hanging around the Heights area lately checking out the vintage and resale shops. Found some places I haven’t been to and discovered some older ones had moved on. Some snippets of things I like. Will post more later. 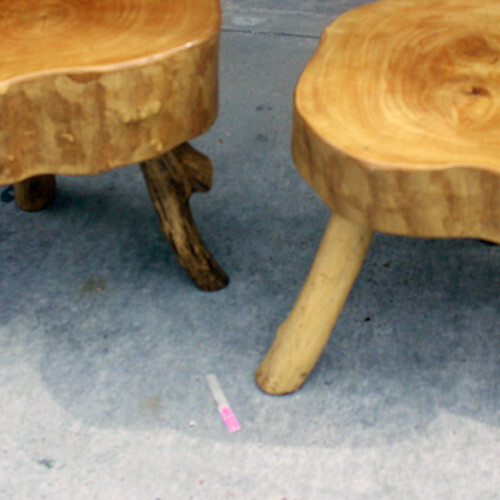 These hand carved mesquite stools were dazzling in the sun. 😦 Except they were too over priced for me so I left them sun bathing on the concrete. The lady in pink beckons. The cat and the Curmudgeon. I had this book when I was young., exact cover and all. I still don’t know what a curmudgeon is. 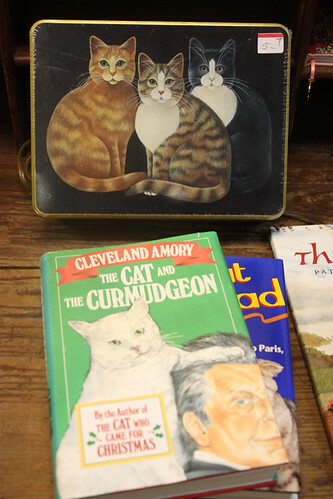 Isn’t that trio of cats tin box the best?